This book is a guide, a history and a love letter. It was written in the heat of fresh passion, a time when a relationship is flush with the sense of discovery. But like any letter written by an ardent wooer of a coy mistress, it’s a bit peevish at times. Most passionate affairs are a mixture of infatuation, adoration, impatience and frustration. So is this one. Perhaps it seems strange that the object of my affection is a series of dots in the ocean, small islands in Boston Harbor within sight of the city, islands that since 1996 have been gathered into a most unusual national park. Yet these thirty-four islands (actually islands, former islands and peninsulas) have been beloved by generations of New Englanders. Their history reaches back to the beginnings of Boston, when those prickly, uptight Puritans grabbed a bit of rocky coast and decided to build a city on a hill. Before these immigrants arrived, the islands were the territory of Native Americans, who fished and gathered food along their shores. Like today’s island campers, they gazed over the ocean, pondering deep questions of existence: What is my purpose in life? What’s over the horizon? What’s for dinner? 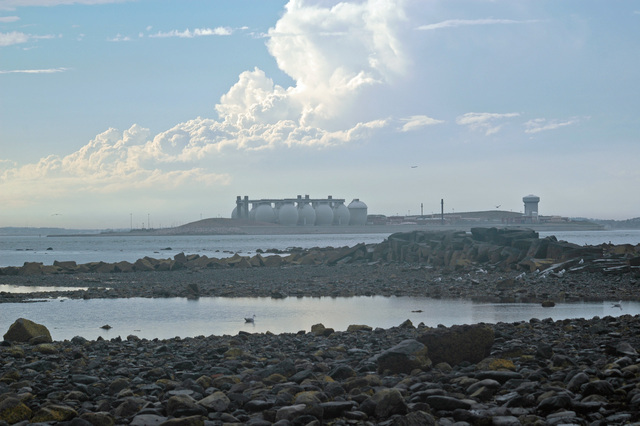 As happens in many affairs, my relationship with the Boston Harbor Islands began through a coincidence. I’m not a Boston native (although I can say wicked smaaht with the best of them), but like many converts, I’ve become a booster of the “Hub,” with its Revolutionary War history, do- gooder spirit, incomprehensible traffic patterns and madcap drivers. Like many city residents, I had only a vague idea that there were islands in Boston Harbor—that much-maligned waterway now undergoing restoration. For years I saw the islands only when I took off in a plane from Logan Airport, which, as I later learned, assimilated some of the islands like a land-based alien Borg Collective—resistance being futile. Then, one day in early 2001, friends who are ardent sailors invited me along on a cruise of the harbor with their boating club. I’m not a big fan of boats. Oh, I love the sea and relish the feeling of getting away from it all, taking a salty journey where you get to say Aargh a lot. Truth be told, however, I’d rather be hiking on my own two feet with a pack on my back. Not to mention there’s something about being a neophyte on a boat that brings out the Captain Ahab in everyone else. Tie that. Hold out. Not that way. This way. Whatever. 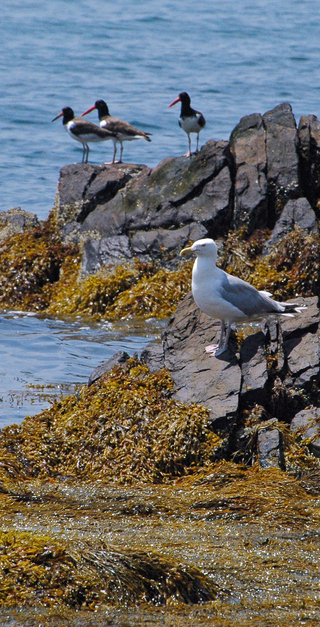 But my friends bribed me with a fine picnic lunch, so I was happy to bundle up and watch the shore rush by. The boat departed from Hingham and wove its way around Boston Harbor. We passed Spectacle Island, then undergoing its metamorphosis into habitability. It used to be a garbage dump, I was told, so packed with junk that it would spontaneously catch fire. Now the two humps of the island were as bare as a baby’s bottom. “This is where the dirt from the Big Dig is going,” my friends explained. 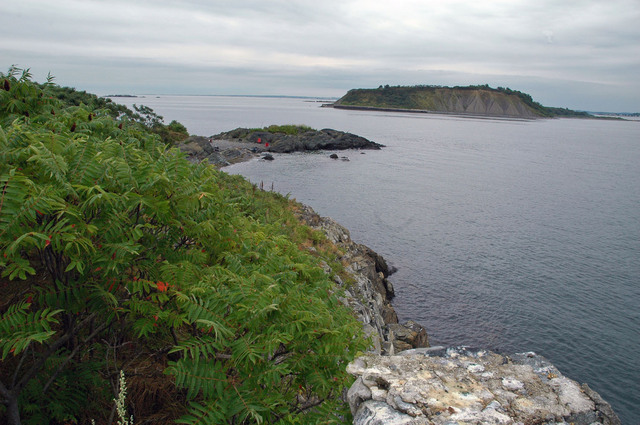 The boat rounded Georges Island, its Civil War–era fort in view. “Ever hear the ghost story about the Lady in Black?” my friends asked. The sun was starting to set as we passed a long, narrow island and a curious red brick structure sitting totally exposed on its beach. This was Lovells Island, my friends explained. The island looked wild, mysterious, deserted, its rocky shores bordered by thick trees and foliage. That strange little shack was the only visible evidence of past habitation. “You can camp on that island,” my friends said. 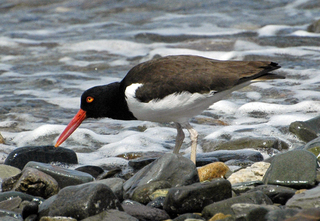 Oyster catcher on Rainsford Island. A combination guide book, history text and personal travelogue.